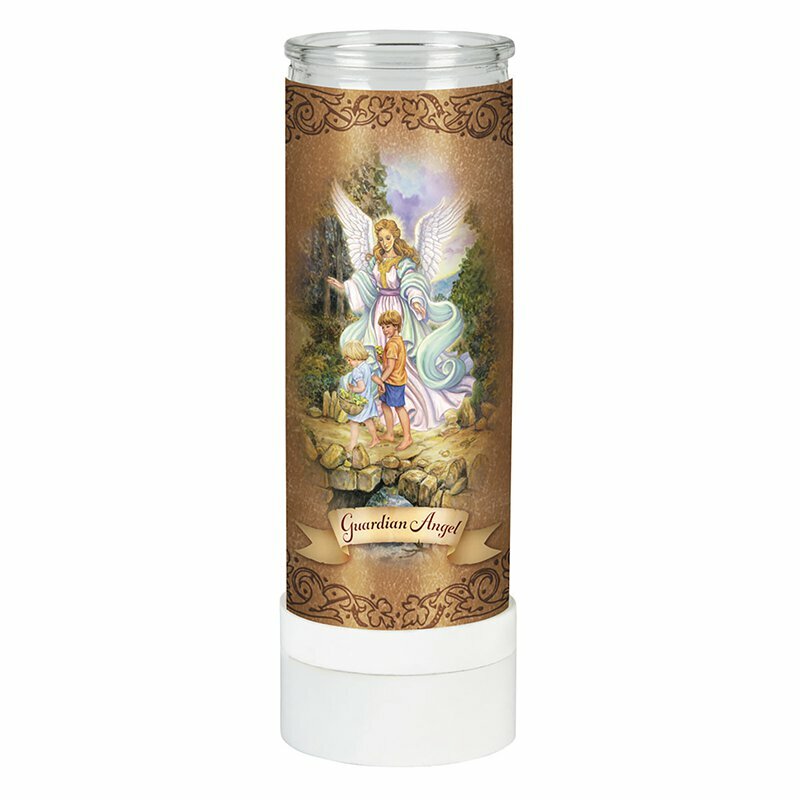 A safe alternative to the traditional open flame devotional candle is our battery operated candle from Will & Baumer®. It features exclusive artwork from Michael Adams of the Guardian Angel in a high-quality glass container with a prayer on the back in English and Spanish. Great for churches, chapels, home altars, nursing homes, offices and more. Takes three AAA batteries (not included) with an on/off switch on the bottom. The base of the candle twists off for easy bulb replacement.